At Alliance Landscapes we pride ourselves on solid workmanship and great service. Our crew boasts 15+ years experience in the field from new construction finishing to residential upgrades in North Carolina. 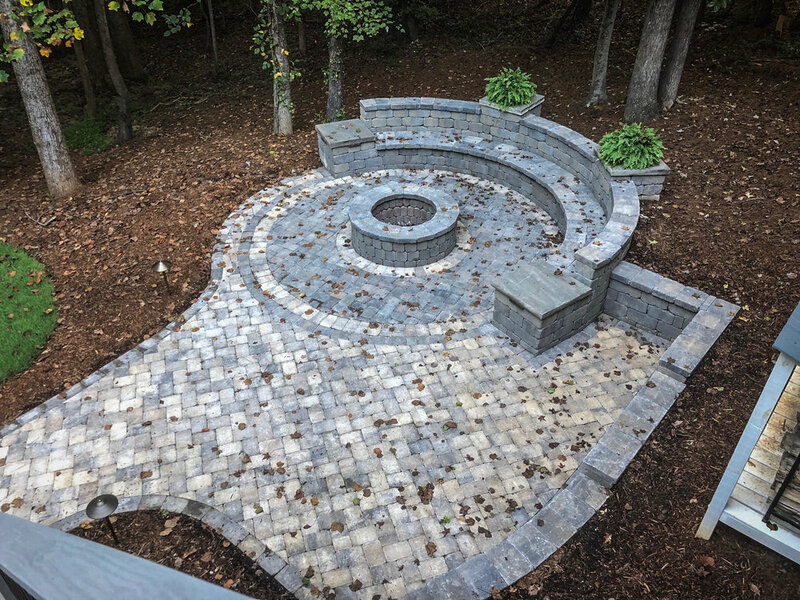 We are experts in the areas of brick and paver patios, retaining walls, drainage, grading, planting, sod installation, and proper permanent landscape solutions that account for functionality and beauty. We value our relationships with our clients and understand the importance of putting your preferences and needs first. Timely, conscientious and respectful of your property and neighbors and are committed to making every experience working with Alliance a positive one. One of the great signifiers of our accomplishments in landscape installation is being Belgard Certified. Meeting the requirements of Belgard was a task that the whole Alliance Landscapes team can be proud of. Passing the Interlocking Concrete Paver Installer course as well as the National Masonry Concrete Association trainings has been fundamental to our success in understanding the overall health and function of patios and retaining walls. The requisite square footage of installed patios and retaining walls is 10,000 square feet and 2,500 respectively. We are proud to install Belgard products and to be certified. We take great pride in having installed beautiful landscapes for North Carolina families from the Triangle to the coast. We offer the full scope of landscape installation services. Alliance Lanscapes is proud to offer professional landscape services in the communities of Raleigh, Apex, Cary, Holly Springs & Knightdale NC.